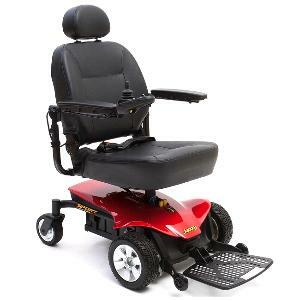 The Jazzy Sport Portable by Pride Mobility combines the sleek design and durability of the Jazzy Sport with ease and independence of a portable powerchair. The Jazzy Sport Portable features small, 9” drive wheels and a narrow, 25.5” turning radius, which allows you to easily maneuver around your house, at the grocery store or even at the mall for a day of shopping. 34.75″ Unit Weight: 129 lbs.